The thinking behind the program is that so many traditionally responsible home-owners were forced out of their homes through the great recession and are now financially capable of taking on a home loan. 1. The home that was lost / short sold / given back to the bank must have been your primary residence. 2. You must be able to demonstrate that you suffered at least a 20% reduction in income for at least a 6 month period leading up to losing your home. 3. You must take a HUD home buyer counseling class at least one month before submitting a new loan application. 4. 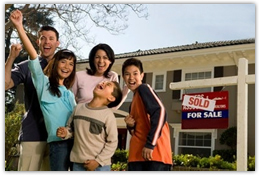 You must meet all the normal requirements for the FHA program such as income / debt ratios. 5. Your credit since losing your home must demonstrate that you have had not had any additional credit issues. With so many home-owners in local towns like Carbondale, Glenwood Springs and New Castle having been forced into foreclosure or short sales over the last few years, this program will present a tremendous opportunity to get back into long term home ownership with home payments that are in line with earnings and rent.